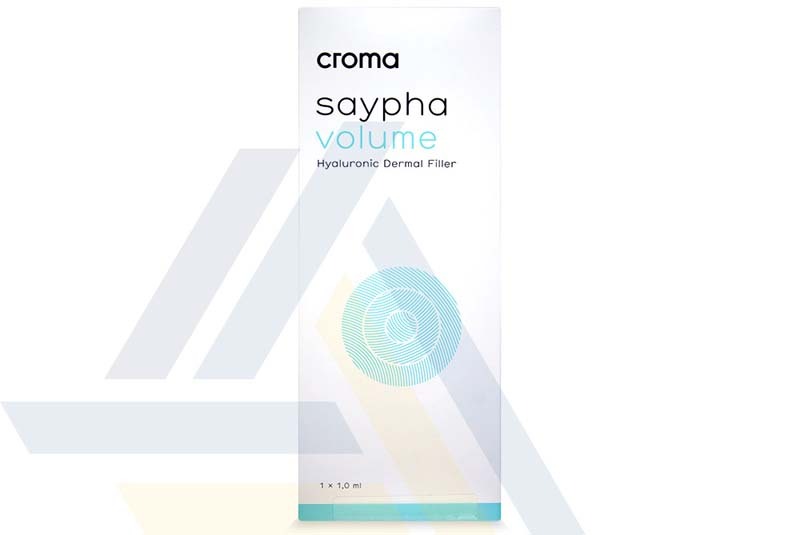 Saypha Volume is a dermal filler that is made of hyaluronic acid and made by Croma-Pharma GmbH, an Austrian company that specializes in the aesthetics field. This filler is used for treating deep wrinkles and folds, restoring volume loss, and defining facial contours. Hyaluronic acid is a natural acid that is found in the body and works to keep the skin moisturized and hydrated. Treatment with this filler revitalizes the face and can even create definition and add volume to areas that are lacking in those qualities. Saypha Volume is made of cross-linked hyaluronic acid at a concentration of 23ml/mg. Saypha Volume is used for the correction of deep lines, cutaneous depressions, and facial contours. It can also provide dermal volume. The effects of a Saypha Volume injection can last between 8 to 12 months. Saypha Volume can cause mild side effects such as redness, swelling, pain, bruising, itching, tenderness, and the formation of tiny bumps under the skin at the treatment area. If any effects become prolonged or worsen, a patient should seek medical advice from a professional. Saypha Volume should only be injected by a properly trained and licensed professional. It should be injected into the deep dermis or subcutis. Prior to the treatment, the patient should wash their face with soap and water so that there is no makeup, oil, or dirt left behind. The area to be treated should be disinfected in accordance with proper aseptic techniques. Upon the completion of the injection procedure, gently massage the treated area to distribute the product evenly. Patients who have certain medical conditions should not be injected with Saypha Volume. For a full list of these conditions, refer to Saypha Volume’s package insert.